Check out the radio show on The Ranch 107.1FM or 97.9FM in The Bitterroot Valley. How about a live stream feed at www.107theranch.com. The WineGuyMike™ Radio Show© with Scott and Paula on The Ranch airs weekly on Wednesday mornings at 8:20AM MST. Each week we will be giving away gift certificates from our sponsors. If your question is selected as WineGuyMike’s™ topic of discussion you will win one of the $20.00 – $25.00 gift certificates. Good luck and send your questions to WineGuyMike™ on his Facebook fan page. 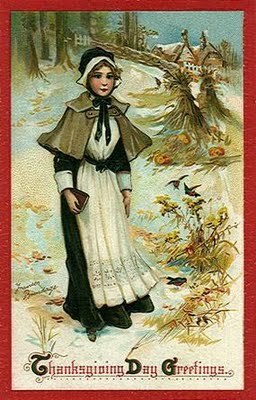 With Thanksgiving Day just one day away I thought it would be fitting to share with you the great American story of wine, featuring the Pilgrims. The Pilgrims are the forefathers of the American wine industry; they are the pioneers who laid the ground work for today’s wine industry as we know it. The early American settlers were Europeans who came to and colonized America. 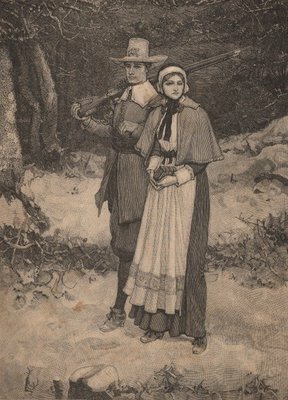 Pilgrims were a very hardy lot and were forced to be self reliant. One of their first discoveries was America’s very own native species of grapes, Vitis lambrusca. There are more native species of grapes in North America than on any other continent. This discovery was very important as it meant that the Pilgrims would be able to cultivate their own resources rather than to rely on trading with Europe for wines that were for their time very expensive. Even with today’s very tough economic climate wine still sells and is consumed just as it was in colonial America. In spite of the economy of the moment during any time in history people are going to consume wine. The Pilgrims were America’s very first winemakers. They were very disappointed in their first vintage of American wine, the “fruit” of their labor and tender loving care did not have a good result. We need to remember these colonists came from Europe and were used to drinking wines that for their time were quite sophisticated. The grapes that the Pilgrims were making wine with were entirely different than that of their European counterparts. They recognized immediately that the poor quality of wine they produced with their first vintage was a direct result of the vines that they were dealing with. Being the resourceful settlers that they were they sent word back to their homeland in Europe that they needed rootstock and vine cuttings from the vines of their homeland. The European rootstock, Vitis vinifera, was a known commodity that was recognized by the Pilgrims. These vines had produced good wines that were very palatable. The vines were planted, grown, cultivated, and harvested from American terrior. The vine’s to the incredible disappointment of America’s Pilgrims were not nearly as hardy or disease resistant as the native rootstock from America. The Pilgrims were at a major disadvantage compared to today’s skilled craftsman we call winemakers. The winemakers did not have the advantage of today’s technology and understanding of disease and pest control. They also failed to recognize the effects of the right soil, weather, slope of the land, prevailing winds. All things today’s winemakers pay a great deal of attention to and know as terrior. Winemakers today also have a complete understanding of what, where, and how varietals grow and thrive. The Vitis lambrusca species of native American grape varietals that you might recognize are the Concord, Catawba, and Delaware grapes. This species produces much better grape juice than it does wines to drink. Vitis vinifera strains of grapes are Pinot Grigio, Riesling, Sauvignon Blanc, Chardonnay, Pinot Noir, Merlot, Cabernet Sauvignon, and Syrah. We all know that this strain of grape vine produces extraordinary wines. There is also a hybrid of these two strains that produce much lesser known varieties of grapes; Seyval Blanc, Vidal Blanc, Baco Noir, and Chancellor. I know they make wines from these varietals, mainly back East, but I myself have not had any wine produced from these varietals. After 200 years of failed winemaking attempts to grow non-native species of vines the settlers returned to the native strain of Vitis lambrusca. A small wine industry existed as a result but the colonists never grew to like the wines that they produced. The demand for wines began to diminish as European import wines were very expensive. The early American settlers began to drink wine only at special occasions rather than every meal like they preferred. This was a direct result of the fact that they did not like the wines they had made. True to the American spirit though early winemakers forged ahead with tenacity and resolve, and as a result their winemaking, vine grafting, and viticulture skills evolved. Thanks to those Pilgrim winemakers we have one of the strongest and most prolific wine industries in the world today. America also produces some of the finest wine in the world today and for that WineGuyMike™ is truly thankful on this day before my favorite holiday. 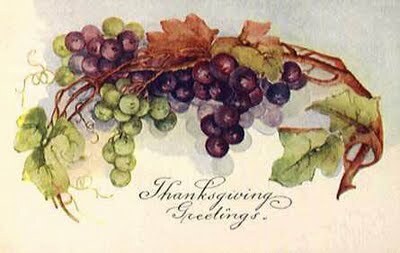 I want to wish all of my WineGuyMike™ fans a Happy Thanksgiving Day, I’m very thankful for all of you. I want to also take a moment to recognize and say Happy Thanksgiving Day and thank you to all of our American troops fighting for our freedom and keeping us safe. I am thinking of all of you and your families on this Thanksgiving Day. Happy Thanksgiving "from my table to yours"
Last week’s show revisited, hey it is Thanksgiving and someone may still need advice for their wine lineup. Today is an important Wine Wednesday, why you might ask? Well this is the week WineGuyMike will help you answer two of the most important and widely asked questions each Thanksgiving prior to the actual holiday. So here it goes; #1. 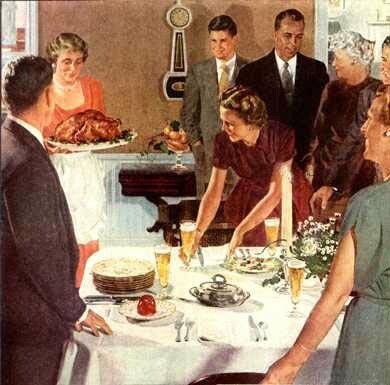 What wines shall I serve to my guests with Thanksgiving dinner, and question #2., what wines should I bring to Thanksgiving dinner if I’m a guest at someone’s home? Okay now we know what the most important questions of the day are, so what are the answers? WineGuyMike™ really prefers to keep things as simple as possible and in doing so let’s consider a few things before I recommend which wine types are best suited for your particular Thanksgiving Day wine selections. Food Texture, Heavy or Light? 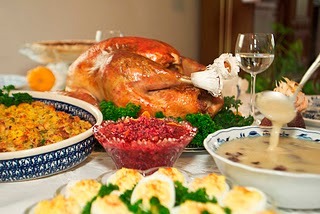 How is the food prepared, Grilled, Baked, Sautéed, or in the case of Thanksgiving dinner roasted? What about a Sauce, Gravy, Crème, Tomato. In considering balance and in this case I’m referring to weight and texture of the main food entrée and the weight and texture of the wine I would like to choose to serve with my dinner. How am I going to cook the Turkey, and today we will of course be using roasting a Turkey as an example. I’m also going to be using a sauce or gravy, and I can promise you I will be using a lot of it but my guests probably won’t be using as much gravy to garnish their entrée with. There a couple of more things to think about before we go wine shopping too. Just as foods have a texture and firmness wines also have a quality of texture. Remember we are looking for balance and a synergy between wine and the foods they are paired with. A full bodied wine bold on texture should not be paired with delicate dishes nor should they be paired with a food dish that is big on flavor. Big wine and big flavor just don’t work well together, we are looking for harmony. A mild food dish would do well to be paired with a medium to light body wine which is what we are doing today in considering our Thanksgiving Day wine list. Today I’m going to be recommending wines that pair well with or go with my main entrée, which are Turkey and gravy. So in contemplating these suggestions I will consider the fact that acid brings out flavors in food and helps to leave a lingering flavor on your palette. I will also consider the fact that Turkey is mild and relatively light to medium textured and in doing so I will be suggesting wines with a bit of acidity and will be light to medium bodied. Now we can talk about our wine type choices, or at least what types of wines match our criteria for the meal we are serving. These are the wine types I believe are best suited for your Thanksgiving Day dinner. I would recommend having one white and one red wine from the light bodied category, one wine from the medium bodied category, and one full bodied Chardonnay that is not oaked to complement your dinner. I hope that you find these suggestions helpful in putting together your Thanksgiving Day wine list. Thinking about this ahead of time will lead to a much better wine shopping experience, not to mention the time you will save not staring at too many wine bottles on a shelf. After a few minutes all the bottles begin to look the same. Having a wine focused Thanksgiving Day dinner can make it a lot of fun and remember this list of slightly acidic wines are suggested because they will intensify all the wonderful flavors of your Thanksgiving Day dinner. It will also be fun to share with your family and friends all about the wines you have carefully selected with the dinner to pour for them, they will surely feel as special as they are. Let’s not forget to take a moment to think about all that we are thankful for and that includes the very special people in our lives, because how much better is a nice bottle of wine when we a sharing a glass with someone. If you have any specific questions about wines please message me by commenting on the WineGuyMike blog at; www.wineguymike.wordpress.com, or on my Facebook fan page; WineGuyMike and I will answer any questions you may have. One last recommendation would be to stop in at my official sponsor Ciao Mambo, they have a great wine list with wines by the glass. You can experience some of these wine types before you serve them with your Thanksgiving Day dinner. Chardonnay from California – Cambria, Katherine’s Vineyard. Pinot Noir is the medium bodied grape variety of red burgundian wines; it can produce wines that are incredible. When aged in oak, it should have sweetness reminiscent of raspberries, with undertones of vegetation and chocolate. The wine can stand up to aging for many years. Pinot Noir at its best will be smooth, full of flavor, and a beautiful bouquet. Gamey Beaujolais a wine from France that is made to be drunk very young, right after bottling. This is a light bodied red that has very little tannin and is low in alcohol content. It is a fruity red wine that has berry overtones and is light bodied. Chenin Blanc is a very versatile grape. It is very crisp, acidic, high in alcohol content, yet is smooth and full bodied. This grape exhibits slight spiciness, hint of honey, and slight fruitiness and is dry. This can be a very special wine, such as Vouvray, an excellent wine exhibiting many different styles. Pinot Grigio or Pinot Gris as it is commonly referred to is a very dry wine. Some characteristics of this wine are a slightly fruity and mild spiciness. Viognier is a grape from the Rhone valley in France is also making a name for itself in California. Viognier is a very dry, delicate wine with floral aromas and apricot overtones. At its best Sauvignon Blanc is a very crisp, light bodied and very dry. They are also known as Fume´Blancs, and are well balanced with citrus and grassy overtones. Most of these wines are not fermented in oak, the high levels of acid balance well with the fruity characteristics of the wine. Sancerre wines come from the Loire Valley region of France and are made from Sauvignon Blanc grapes. There are two styles of Sancerre wines depending on their terrior. Some come from marl terroir and the others come from limestone vineyards. Marl (white soil) terrior Sancerre wines are fruity and well balanced while the Sancerre wines grown in limestone are full flavored but can be unstable. Both style of wines have nuances of citrus (Grapefruit) and floral aromas. Chardonnay is one of the most complex white wines, thanks to winemaking techniques, and the grapes ability to draw flavor from the nutrients and minerals in the soil. Chardonnay is aged in new oak barrels, old oak barrels, and steel barrels, all producing varying nuances in the wines. New barrels produce the strongest oaking, old barrels have a slight oak influence, while the steel has no oakiness. This dry wine is rich, bold, and full of fruitiness, vanilla and a certain toastiness, just to name a few characteristics. Complexity is the word that best suits Chardonnay. WineGuyMike™ had to mention some sparkling wine just to top the Thanksgiving Day off. Sparkling Wines and Champagne are still wines that have been infused with carbonation. True Champagne is made in France will be noted by the capital letter “C”on the label. Other sparkling wines called Champagne will by designated as “champagne”, notice no capitalization. Three grapes are used in Champagne, Pinot Meunier, Pinot Noir, and Chardonnay. It’s white because only the juice of the grapes are used. Pink Champagne is strained through the Pinot Noir grape skins, truly a delight. M´ethode Champenoise is the true French fermentation process. The wine is fermented twice, once in an oak barrel, and the second time the wine develops carbonation in the bottle while aging a minimum of one year. Blanc de Blancs this true French Champagne is produced entirely from the Chardonnay grape. Also fermented using the Methode Champenoise process, producing a white Champagne. Balance – this term is one that would refer to a harmony of fruit, tannin, acid, and alcohol. There may be a nuance of fruit in a wine but it would not be so overwhelming that it would be out of balance or harmony when considering the other characteristics of a wine. Cheesemonger – this term refers to someone who sells cheese, in this case a specialist or purveyor of artisanal cheeses. Meritage – pronounced just like “Heritage”, is a proprietary term used to denote red and white Bordeaux-style wines without infringing on the Bordeaux region’s legally protected designation of origin. Winemakers must license the Meritage trademark from its owner, the California-based Meritage Alliance. Member wineries are found principally in the United States, though increasingly elsewhere. Rose´ ­- “pinkish”(French). Depending on the grapes and winemakers style the wines can be colored from vivid orange to nearly a purple hue. Terroir is a French term for the notion that the complex combination of soil, climate, exposition and local tradition define the style of wine, a taste of the earth. Wine Tasting Flight is a term used by wine tasters to describe a selection of wines, usually between three and eight glasses, presented for the purpose of sampling and comparison. I’m from a large Irish-Italian family where all the fun revolves around food and drink, and there rarely exists a photo of my siblings and I missing our purple stained teeth. I got my Bachelor’s degree from the University of Montana in Literature and Creative writing. 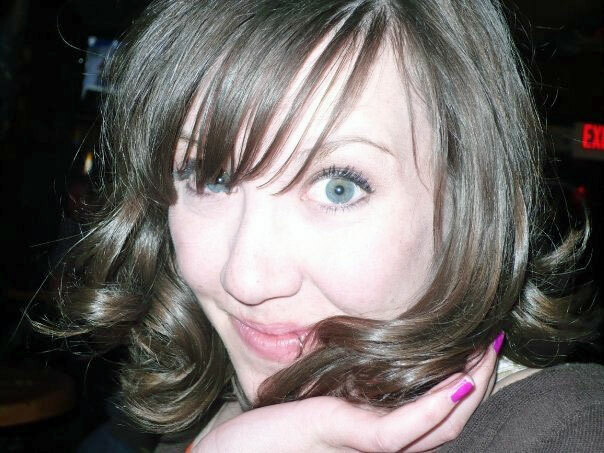 Since graduation, I’ve been writing short fiction and slinging booze. I love orange juice and the fiction of Cormac McCarthy. I get my fashion sense from my mother, which isn’t necessarily a good thing. I hate bananas and when people exaggerate belches to draw attention to their perceived masculinity. I make the world’s best mashed potatoes, take dreams very seriously and am afraid of heights. My favorite grape at the moment is Sangiovese. It comes with the territory, whatever your terrain may be. Wine stains, on couches after especially emotional Grey’s Anatomy episodes, on your white Christmas button down, or on the carpet after the task of pouring yet another glass of wine proves too trying for your already saturated self. Red wine has its place in your special occasion, but hopefully you can keep it out of fabrics, if not, however, these tricks (learned only by trial and error) can save the fabrics touched a little too closely. It is important that the original bulk of the wine is rinsed out of the fabric. Let’s suppose that a glass of Malbec unsuspectingly sitting on your bedside table is knocked to the floor with your wild arm gestures that accompany a drunk dial to your future ex-boyfriend. Of course he doesn’t know he’s your future ex, as he is content with the often irrational actions that accompany your assumption that 80’s teen romances depict what a real, caring and honest relationship is like until you drunkenly insist that your “first” was Jake Ryan. This is where the downward spiral begins and sooner or later he’ll become disenchanted with your delusions. When you delete his number after the conversation the least of your worries will be the wine spatter. Using a damp sponge, dab (don’t rub) the spot to pick up the inevitable puddle. Always have OxyClean for carpets around, or if you’re thrifty, any oxygenated carpet cleaner will work. Spot test in an inconspicuous area to ensure color fastness. After the spot test, really douse the spots of wine on the carpet with your oxygenated cleaner. Wait about 5 minutes and dab (don’t rub!) the wine out with your damp sponge. After the area dries, vacuum. This also works with stains under your bed that you don’t notice (or can’t be bothered with) until days later and on fabrics you cannot put in the washing machine, i.e. couches and curtains. As an Irish/Italian Catholic from an enormous family, I’ve become a great multi-tasker when it comes to wine and my young cousins. Stirring gravy with a baby on the hip while putting in my opinion of whatever wine was purchased for each gathering is a normal and easy thing, even though I have avoided having any of my own children so don’t even think about calling social services. They’re not even my kids. Let’s suppose, however, that my 7-year-old cousin got a whole vat of green slime in his Christmas stocking and is dangling it out of his nose in an attractive way only a child can. As a result of his debauchery at least 3 people are covered in a Syrah that honestly needed to open up quite a bit before it was palatable anyway. My white cotton blouse, my brother’s white polyester/rayon blend dress shirt and my 7-year-old mischief producing cousin’s wool sweater all fell victim. After finding an array of spare clothes (As a joke I believe I was given a Budweiser tshirt 4 sizes too big) I rinsed the stains in cold water and found Dawn dish soap, the blue kind, under the sink and was thankful. Apply the Dawn directly to the stain and rub (this time you can…). You’ll see the wine stain begin to turn black and then it’s time to soak the stain in cold water without rinsing the Dawn out of the spots. Launder as usual after soaking for 30 minutes. WARNING: If your garment is dry clean only skip all these steps and bring it to your dry cleaner immediately. Do not even rinse the stain. Check out the radio show on The Ranch 107.1FM or 97.9FM in The Bitterroot Valley. How about a live stream feed at www.107theranch.com. The WineGuyMike™ Radio Show© with Scott and Paula on The Ranch airs weekly on Wednesday mornings at 8:20AM MDT. What wines to pair with Thanksgiving Day dinner? Chardonnay from California – haven’t decided which one yet. Sparkling Wines and Champagne are still wines that have been infused with carbonation. True Champagne is made in France will be noted by the capital letter “C”on the label. Other sparkling wines called Champagne will by designated as “champagne”, notice no capitalization. Three grapes are used in Champagne, Pinot Meunier, Pinot Noir, and Chardonnay. It’s white because only the juice of the grapes are used. Pink Champagne is strained through the Pinot Noir grape skins, truly a delight. M′ethode Champenoise is the true French fermentation process. The wine is fermented twice, once in an oak barrel, and the second time the wine develops carbonation in the bottle while aging a minimum of one year. This week’s winners are; Mary Larson Kukowski and Wine Guy Jeff Taylor. I got to meet one of my favorite fans Mary K at the MBIA wine tasting the other night, what a pleasure. Cheers to Mary and Jeff today. Erik Kramer, Associate Winemaker for Adelsheim Vineyard is joining WineGuyMike, Scott and Paula from The Ranch on today’s radio show. Erik is going to talk about Adelsheim Vineyard and share with us a snap shot overview of what it’s like to be a winemaker at one of the premier vineyards in the northern Willamette Valley, the finest Pinot Noir terrior in America. A month ago I was invited to a wine luncheon by George’s Distributing of Helena, Montana. The luncheon/tasting took place at a local restaurant Scotty’s Table, a fine dining establishment in Missoula, Montana. I was intrigued by the invitation as the winery was from the Willamette Valley in Oregon, a region with terrior that is second to none, and I’m including Burgundy. I love the Willamette Valley as it reminds me of what the Napa Valley was three decades ago, still an area rich in its roots of agriculture. For me wine is terrior and winemaking. Terrior is like poker, you start with great land and the right vines but the weather is never completely predictable. The grapes are what they are each year and that is the hand the winemaker is dealt. They have to work with the hand they’ve received, that’s where their particular experience, skill, and intuition take over and the process begins. As I was sitting with my new friend Kevin O’Neill from Georges Distributing, a Certified Sommelier, who really knows his wine and Bill Blanchard, Sales Manager, from Adelsheim Vineyard as I was pondering the wine flight before us. We began the luncheon by introducing ourselves; there was a handful of Missoula restaurateurs also attending the wine luncheon. I was fortunate enough to be sitting across from Bill Blanchard as he began sharing his 30 year background in wine. I found Bill to be approachable, sharp, and in command of his market. This man speaks genuinely from his experience over the last three decades, and what a great ambassador of the Adelsheim Vineyard and their wines. It was with great pleasure that I listened and learned about the Adelsheim story. Once the wine luncheon had ended I approached Bill and asked him if Adelsheim Vineyard might be interested in being a guest on The WineGuyMike Radio Show. I emailed Bill all of the WineGuyMike Social Media links and within a few days I received an email indicating that in fact he or one of the winemakers for Adelsheim would be a guest on my weekly radio show. I was excited to have Adelsheim as a guest simply because they have taken what the earth has yielded and the result is beautiful wine. Their wine is consistent throughout the brand in all label series. In my tasting and research for this article I’ve grown to love everything Adelsheim. 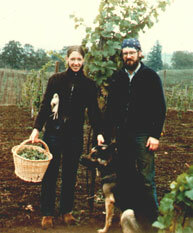 David and Ginny Adelsheim get it and they got it a long time ago, way back in 1971 when Adelsheim Vineyard was founded. A trip to Europe inspired their desire to bring the artisanal nature of food and wine they wanted to recreate in Oregon’s northern Willamette Valley. As I spoke today with Winemaker Erik Kramer of Adelsheim today I mentioned to him that my sole reason for wanting to write about Adelsheim and its wines was very simple. The wines are beautifully made and they are terrior, a direct representation of the land they’re grown on. In other words “these wines are a taste of the earth from whence they com”. What I have really grown to appreciate is the simple approach that Adelsheim employs in its vineyards, all the way from growing and management of the grapes, to making the wines. They utilize a real Burgundian style in growing and making their Adelsheim Vineyard Wines. 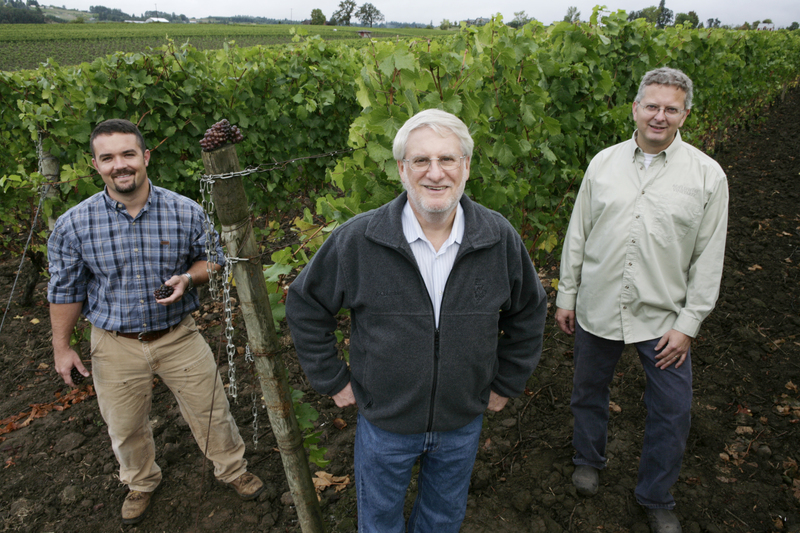 In 1972 the Adelsheim’s had planted their original 15 acre piece of land on Quarter Mile Lane with Pinot Noir, Pinot Gris, Chardonnay, and Riesling varietals. The Chehalem Mountain viticulture area was an unknown commodity at this point and time. By 1978 Adelsheim’s vineyard was producing twice as much wine every two years, the vineyard was bearing a full yield, grapes were being sourced from other growers, the winemaking conditions were very cramped. They managed to bottle 1,300 cases for commercial release that year. Five years later in 1982 a new 6,000 square foot winery was built and filled with barrels, bottling equipment, and tanks. 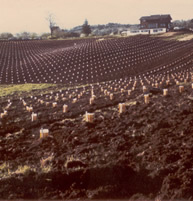 The first vineyard land expansion began in 1989 with the lease of 19 acres known as the Bryan Creek Vineyard that continues to be a great source of Pinot Noir, Pinot Blanc, and Pinot Gris. 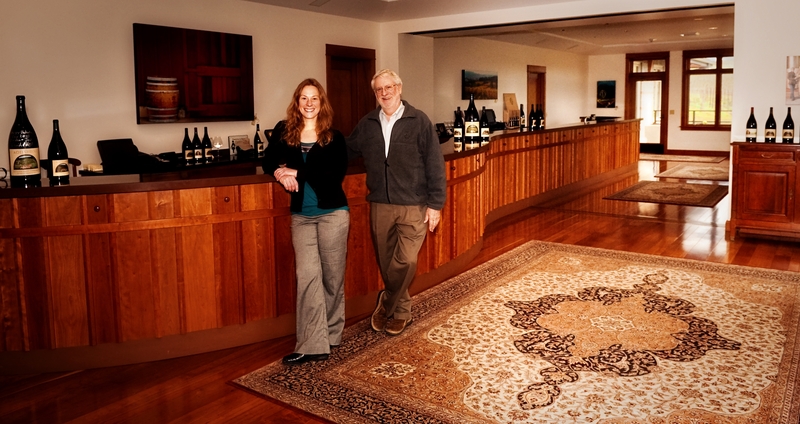 David and Ginny also purchased 52 acres known as The Calkins Lane Vineyard. This vineyard is lower in elevation and was planted with Pinot Gris, and Burgundian clones of Pinot Noir and Chardonnay. 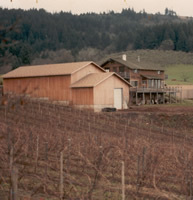 In 1994 Jack and Lynn Loacker became co-owners of Adelsheim Vineyard and planting began at Ribbon Springs Vineyard in 1995, this is an exceptional 120 acre site on the Ribbon Ridge spur of the Chehalem Mountains. This vineyard has provided Pinot Noir and Pinot Gris grapes for Adelsheim since 1998.
that utilize pre‐cast concrete arches and temperature‐controlled floors to provide perfectly optimized temperature and humidity control for slow, cool aging of their Pinot Noir, Chardonnay and Syrah. 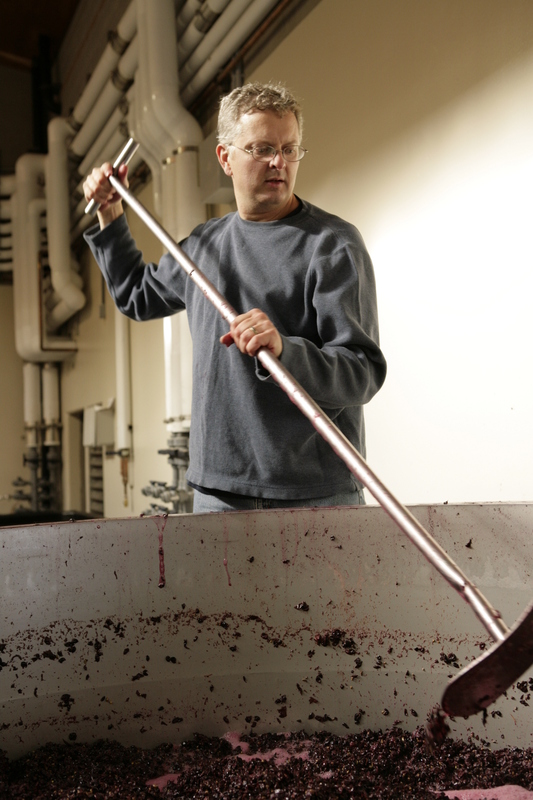 Dave Paige joined forces with Adelsheim in 2001, bringing with him twelve years of experience working with Pinot Noir. Dave Paige also brought with him a kindred spirit in terms of wine making philosophy that paralleled that of David Adelsheim. Dave Paige is a winemaking guru who is responsible for the consistency of excellence known by wine drinkers as Adelsheim. Dave has recently received great acclaim for Adelsheim’s Deglace which is a rarely produced Pinot Noir dessert wine. 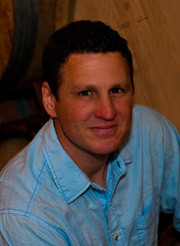 Erik Kramer, Adelsheim’s Associate Winemaker, has worked for Adelsheim Vineyard since 2005. Erik left a successful profession as a corporate geologist to pursue a career that allowed him to follow his passion for science and appreciation for fine wine. Erik’s career change prompted him to obtain a Postgraduate Diploma in Viticulture and Enology from Lincoln University in Christchurch, New Zealand, a program that specializes in cool climate viticulture and winemaking. In addition to his winemaking experience in Oregon’s Willamette Valley, Erik has also worked for several well reputed wineries in New Zealand and Washington. In 2006 viticulturist extraordinaire Chad Vargas joined the Adelsheim team. Chad spent two years with well known Kendall-Jackson as viticulturist. Chad is responsible for quality control and sustainability programs, financial planning and training related to our expanding vineyard operations. David Adelsheim, as the original winemaker he established the winery’s focus on rich, complex Pinot Noirs and elegant white wines. Today he focuses his attention on marketing and sales, financial planning, and overall direction of vineyard and winemaking activities. He has also been a leader holding wine related political and association positions that have made the Oregon wine country what it is today. David Adelsheim is one of the visionaries of the wine industry since he founded Adesheim Vineyard in 1971. 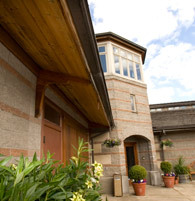 An extensive addition was added to the winery in 2008. This increased the ability to handle more fruit, now allowing fermentation capacity the matches harvest demands. 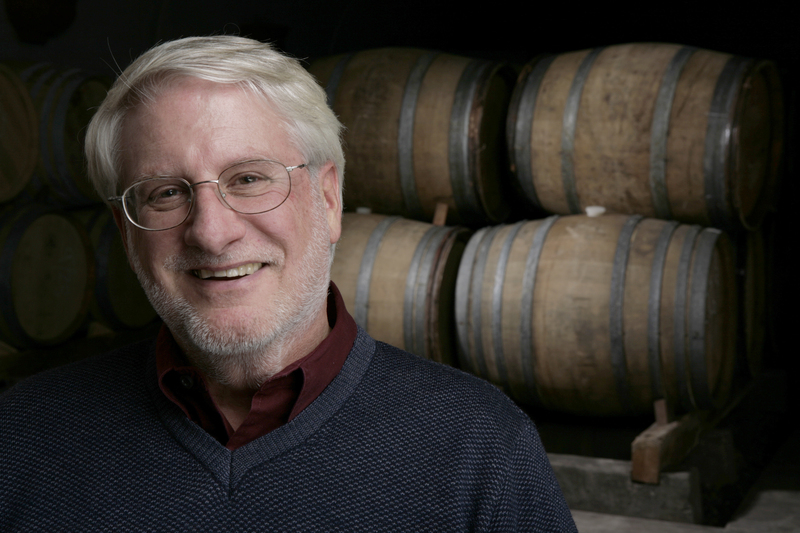 The great news for wine drinkers is that it facilitates Dave Paige’s ability to craft small lots that insure a greater variety of distinctive single vineyard Pinot Noirs. 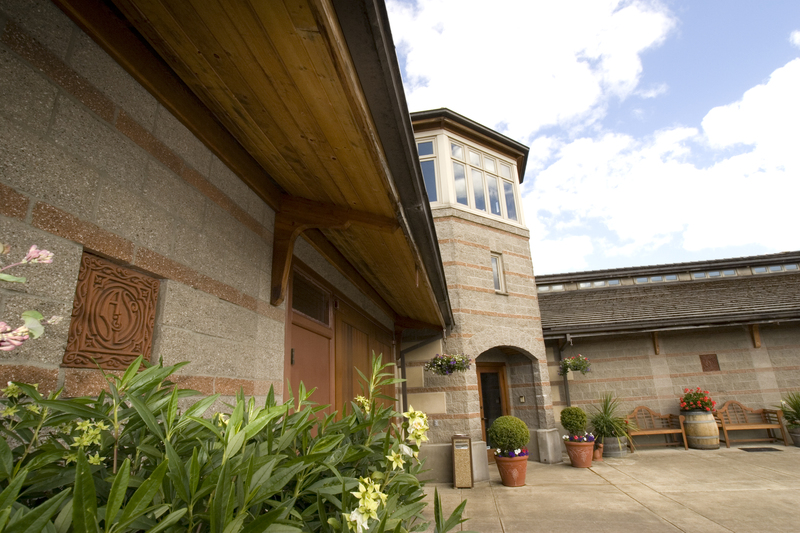 A new tasting room was built in 2009 and is a must visit destination while visiting The Willamette Valley. The tasting room features a beautiful view of The Calkins Lane Vineyard that provides a wine experience for the visitor, along with amazing Pinot Noir of course. Adelsheim Vineyards has grown to encompass 190 acres of the best wine terrior there is and the Adelsheim wines rise to the occasion. They are in fact what WineGuyMike seeks out to share, “a true taste of the earth”. The winemaking process at Adelsheim Vineyard is extremely gentle, and is identical for our four series of wines. At harvest, the grapes are picked by hand into small totes, and are delivered to the winery’s two-level, gravity-feed fermentation room. There, our white wine grapes are gently pressed as whole clusters and the juice transferred to the winery’s tank room. Slow, cool fermentation in stainless steel tanks emphasizes the bright intensity and fruit flavors in our unoaked white wines, while barrel fermentation and extended lees contact gives our Reserve Chardonnay richness and lovely balance. Our red wine grapes are carefully sorted by hand and gently destemmed into small, open-top fermenters. Following a pre-fermentation maceration, slow, cool fermentations emphasize the nuanced flavors and aromas of our Pinot noir and Syrah, and the must is punched down two to three times daily for greater extraction of flavor and color. After fermentation and gentle pressing, the new wines are slowly transferred to barrel for aging. The winery’s four underground barrel caves utilize pre-cast concrete arches and temperature-controlled floors to provide optimal temperature and humidity for slow, cool aging of our red wines and our Caitlin’s Reserve. During barrel aging, the wines typically undergo a secondary, malolactic fermentation to add further richness and complexity, and are bottled following 10 to 12 months in small French oak barrels. The Chehalem Mountains and Ribbon Ridge AVAs reflect millions of years of soil accretion, mixing, blowing, and uplift, creating a rich geological experiment in one tightly packed geographical area. Within this one region there are ancient, uplifted sedimentary seabeds; weathered rich red soils from lava flows down the Columbia River; and relatively new glacial sediment scoured from western states and blown onto north-facing hillsides in tumultuous windstorms. Soils so violently and differently formed pass on a predictable complexity and unique taste in our wines. It’s an exciting winemaking laboratory to experience the similarities and contrasts in the wines of the Chehalem Mountains. 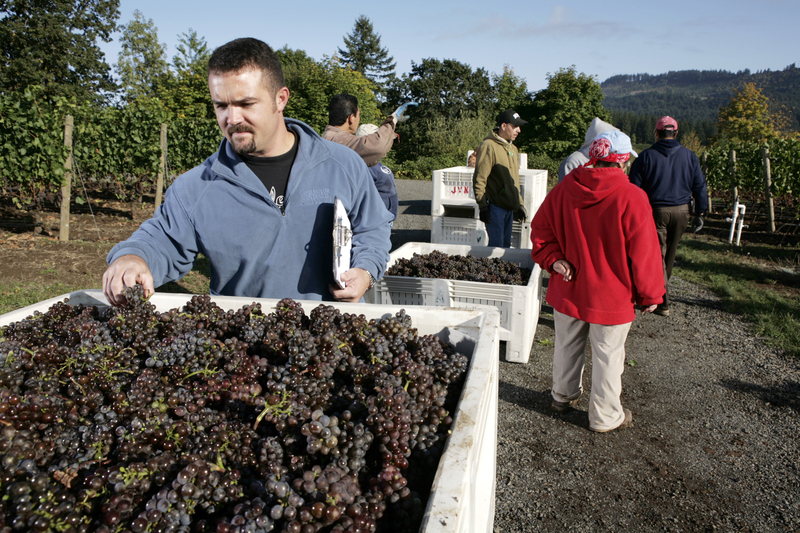 More than any other grape varietal, Pinot Noir reflects where it is grown. 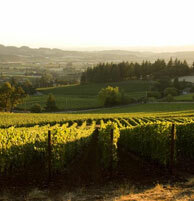 The diverse topography of the Chehalem Mountains provides a wide variety of opportunities for Pinot to express itself. Mountains set our AVAs apart from others and pull together a variety of unique conditions that influence our wines. 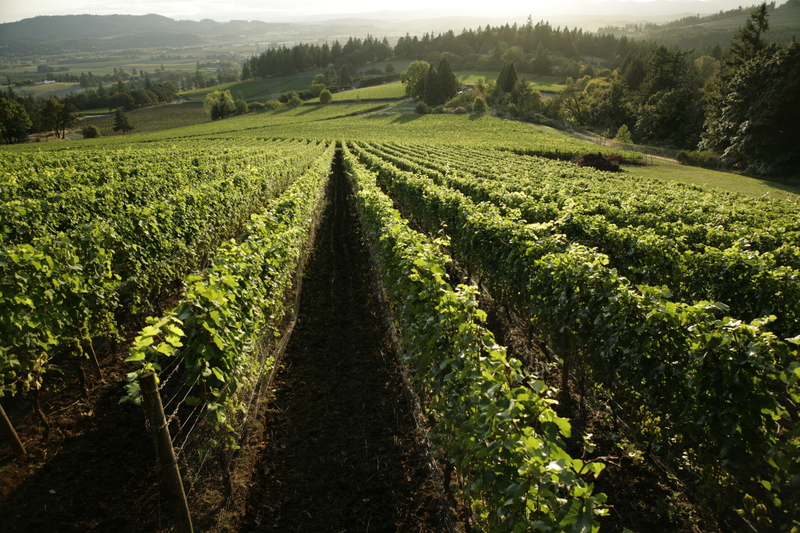 While best known for Pinot Noir, the Chehalem Mountains are also ideal for other cool climate wine grape varieties such as Chardonnay, Pinot Gris, Riesling, Pinot Blanc, Gamay Noir and Gewurztraminer. Under optimum cellar conditions, this wine will certainly improve through 2020, perhaps through 2028. Gentle, whole-cluster pressing was used to separate the juice from the skins as quickly and as cleanly as possible for this Chardonnay. The majority (85%) of the juice was fermented in stainless steel tanks to retain fruit purity, flavor and aroma, we’ve found we can produce excitingly rich Chardonnay with very minimal influence from oak. The remaining juice was fermented in neutral barrels to augment textural richness and create a more balanced and complex wine. In order to preserve freshness and acidity, this wine did not undergo malolactic fermentation. Cellaring: Under optimum cellar conditions, this wine will certainly improve through 2018, and perhaps through 2028. When two clones of Auxerrois (oak-sair-wah) were brought into Oregon from Alsace in 1977, we knew next to nothing about the variety. Still, after tasting some test wines made at Oregon State University, our interest was piqued. DNA testing has shown that Auxerrois, like Chardonnay, Aligoté, Gamay and 10 other varieties, is a cross dating from medieval times between Pinot Noir and an ignoble variety called Gouais Blanc. Auxerrois is also the name of a duchy surrounding the town of Auxerre near Chablis, but the variety has disappeared from that area and all other parts of Burgundy. There are probably less than 500 acres of it planted in the world. Its early ripening has allowed it to flourish in Luxembourg (even achieving Premier Cru status), but in Alsace, the variety is now treated as a second-class citizen, consigned to blends often with Pinot Blanc. In the U.S., we know of only two other producers. The wine was then completely tank fermented at a low temperature to retain fruit purity and aromatic freshness. Malolactic fermentation was prevented in order to preserve the wine’s varietal character. This week’s winning question; Laurie Bracken asks, Hi Mike, my question is on how to choose wines that arent’ oaky….I like both reds and whites…don’t care for really sweet wines, but know I definitely don’t care for wines that have an oaky flavor….so would love to know how to stay away from them. Thank you!!! Laurie that is a great question and I will answer you by also sharing with you all things oak and will also speak to Steel Barrel fermentation and aging which are the styles of wines I think you will enjoy much more. Cheers Laurie and thank you for your question. Oak barrel fermenting and oak barrel aging while both very different both have a significant influence on the winemaking process. Oak barrels affect the color, flavor, tannin, and texture of a wine. First we need to understand a few basics about the wine making process so we can begin to understand how the use of Oak or Steel Barrel fermentation or aging process influences wines. Understanding a little about this empowers us as a consumer to make better purchasing choices that will be satisfying when we actually drink the wine. Bottle Fermentation; Champagne undergoes a second fermentation in the bottle by adding sugar and yeast. Carbonic Fermentation; Grapes are stored in large containers filled with Carbon Dioxide. Enzymes inside the grape break down the internal cellular matter of the grape and produce ethanol. This is how Beaujolais is made; this technique produces soft, fruity wines. Malolactic Fermentation; this is a secondary fermentation process that refines a wine by converting malic acid into lactic acid. The wine is rendered less tart or acidic and the wine is softer and rounder as a result. Aging is the process of wine (already fermented) being placed into a barrel for maturation, better known as aging the wine. 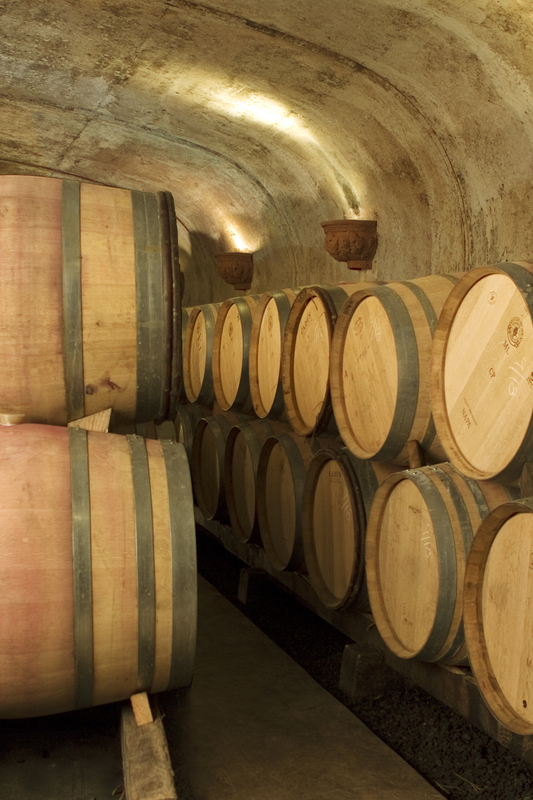 French and American Oak are the most familiar types of barrels used in winemaking. They are not the only ones though and winemakers throughout the world are searching for new favorably priced oak as it becomes more scarce and expensive as a result. Here are some of the common and not so common oak types used in wine barrel making. Russian Oak; used heavily by the French as an alternative to their own more expensive Oak. Slovonian; tight grain, low aromatics and medium tannin, favored by Italian winemakers. Canadian; Qualities that fall somewhere in between French and American Oak. Stainless Steel Tanks are shiny, hygienic containers are the preferred choice for most modern winemakers as it pertains wine fermentation. 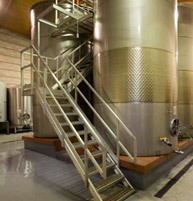 The Steel Tanks provide temperature controlled conditions that assist in successful winemaking results. White and Red wine both have very specific temperature ranges that need to be met in order for the winemaker to achieve his or her desired results. Prior to modern equipment barrel temperature was controlled by ice beneath the barrels. Residual heat is naturally generated in the grape juice during the fermentation process. This is due to the chemical reaction of the yeast and the must. Temperatures are closely monitored in order for the winemaker to extract certain nuances from the juice. French vs. American Oak, most winemaker’s preference is still between the two most popular oak barrels. French Oak would be the best choice for a winemaker working with a grape varietal requiring subtle aromatics and higher tannins. American Oak would be the choice for a winemaker with big robust, powerful red wine varietals and warm weather Chardonnays. I found the preparation of the oak made for wine barrels very interesting. French Oak due to its tighter grain is split along the grain rather than using a saw on the wood. The French Oak is then aged or “seasoned” out doors for a period of two years. This treatment is what the subtle nature of French Oak is attributed to. American Oak is cut with a saw which releases the xylem cells in the wood. The more distinct characteristics of vanilla and coconut attributed to American Oak are a direct result of the use of saw in preparing the wood. The American Oak is then kiln dried which really enhances the naturally strong characteristics of the wood. Another preparation for Oak is “toasting”. The wood is exposed to open flame and toasted to varying degrees and is just as it sounds adding a toasty characteristic to the wine. Light toasting adds more oak and tannin to a wine while heavier toasting adds a roasted aroma, or notes of vanilla, spice, caramel, and the beautiful aroma of clove in some wines. Just when you thought you knew everything oak about wine barrels there are new technologies that are used as barrel alternatives. Oak chips can be used during fermentation or aging. This technique will contribute nuances of wood, butter, and vanilla. The oak chips are kept in fabric sacks right in the wine. Intense flavoring can be introduced to the wine in weeks rather than a much longer time of traditional barrel fermentation or aging. Wine planks or staves are also used in the fermentation and aging process but wines made with these barrel alternatives do not age as well. Critics proclaim that wines made using these alternatives lack depth and dimension but these techniques will evolve and will be embraced over time. Microxygenation is a new high-tech winemaking technique that infuses micro amounts of oxygen into red wine during fermentation or aging process. This produces a wine that is soft and supple without the use of oak. This is a process that occurs naturally in oak barrels during fermentation and aging but due to the non-porous nature of steel does not. This technique helps to build a wine that is softer with diminished tannin that is a little smoother to drink. In conclusion it’s very important to do business with a retailer like Grizzly Liquor or restaurateur Brett Evje, owner of, Ciao Mambo that knows their particular wine inventory or wine list. They will be able to listen and discern what type of wines you desire for your palette and guide you in your selection. If you don’t like “oakiness” in your wine selection I would recommend searching for wines that have been fermented or aged in steel tanks. These wines will be brighter, tighter, and a bit more inside themselves than wines that are fermented or aged in oak. For those of you that don’t care for those oaky wines now is a good time. The trend for a great deal of the consumer wine market is to produce and sell wines that are “in the moment”, great right now wines that appeal to us right now. Ninety percent of all wines are made to be consumed immediately without any aging necessary. This is due in large part to the evolution on winemaking and winemaking techniques. The wine industry does understand its collective consumer market.